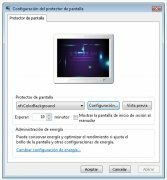 If you are tired of the traditional screensavers that are included in the Windows operating systems you can always renovate them and provide you PC with a new look. 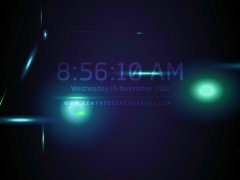 NfsColorBackground is a free modern screensaver that shows the day and the time under a blue screen full of reflections, and all this with an appealing animation. Deactivate the sound if you want. Shows a digital clock as well as the date, month and year. 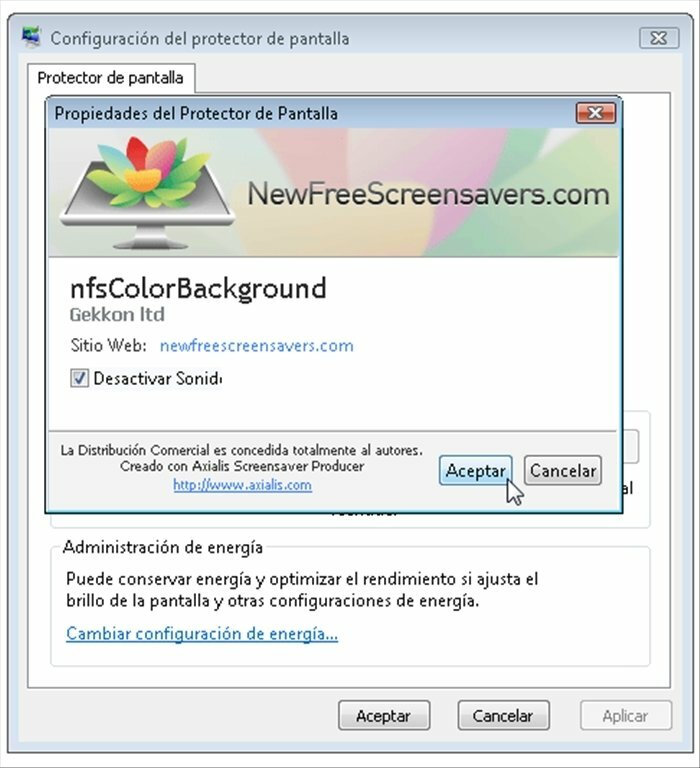 Make the most of nfsColorBackground when you aren't using the PC. 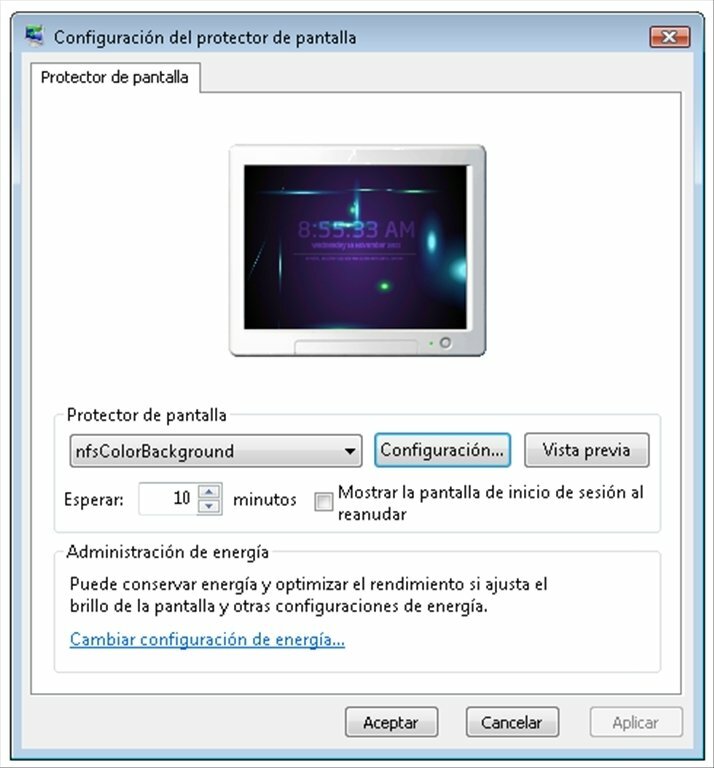 Since it shows the time, the date, the month and the year you won't only have a relaxing animation on your screen when you don't use your computer, you will also be able to quickly know these details. 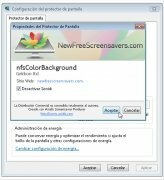 Transform your computer's screen into your room, office or home clock and calendar, download nfsColorBackground free. It hardly needs any configuration at all.